What is a Beer & Wine Distributor? Idaho beer distributors affect more than 3,000 jobs in the state and generate $364 million in total economic impact, according to a new report released by the National Beer Wholesalers Association. 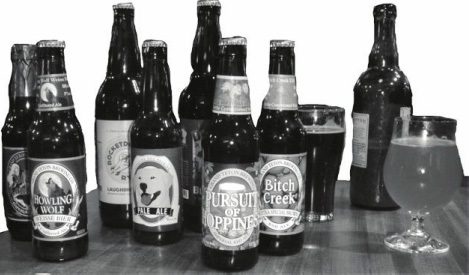 The report, by Bill Latham and Ken Lewis of the Center for Applied Business and Economic Research at the University of Delaware, looks at how beer distribution activities interact with other parts of the economy. The 37 beer distributors in Idaho directly employ 1,421 people, according to the report, and provide more than $84 million in wages. When taking into account indirect production activities, employee spending, and distributors’ investments and community involvement, beer distribution activities affect 3,055 jobs in the state and influence more than $143 million worth of wages. Idaho beer distributors’ activities directly generate more than $80 million dollars in local, state and federal tax revenue. When accounting for investment and community involvement, that amount comes to more than $81 million. These numbers do not include the $48 million in federal, state and local excise and consumption taxes on beer.